LAST MONDAY MARKED the fifth anniversary of the Boston Marathon bombing, making this weekend the fifth anniversary of the first post-bombing Red Sox home game and its ceremony honoring the victims and first responders. It was during that observance, hours after Dzhokhar Tsarnaev was apprehended, that David "Big Papi" Ortiz took the microphone in the infield and threw out an F-word for the whole world to hear. "We want to thank you, Mayor Menino, Governor Patrick, the whole police department, for the great job that they did this past week," he said. "This is our f***ing city. And nobody's going to dictate our freedom. Stay strong," he said. The reaction to Ortiz's declaration was wildly positive. The big first baseman wasn't fined for his public profanity on live TV, he was extolled for it. Baseball Commissioner Bud Selig called the Fenway F-bomb "outstanding." The chairman of the Federal Communications Commission offered an instant endorsement: "David Ortiz spoke from the heart at today's Red Sox game," he tweeted. "I stand with Big Papi and the people of Boston." It has become commonplace to describe the moment as one of Ortiz's finest. But I thought then and still think now that it was demeaning, not outstanding, to reach for gutter language at such a moment. It doesn't take the crudest of four-letter words to express feelings from "from the heart." The thousands of fans at Fenway that day proved as much just a few minutes later when (like the Bruins crowd at Boston Garden three days earlier) they joined in an emotion-laden rendition of the national anthem. Ortiz could have proclaimed Boston to be "our amazing city" or "our magnificent city" or "our beloved city," and his tribute would have been every bit as inspiring and meaningful. The F-word has been around for centuries, but only in the last few decades has it become so ubiquitous and unremitting in public discourse and culture. It is both a cause and an effect of the steady coarsening of American society, a coarsening that has been accelerated to warp drive by the Internet. Anyone not confined to Devil's Island knows that potty-mouthed vulgarity now permeates social media and YouTube, rap lyrics and movie dialogue, animated sitcoms and comedy routines. There was a time when politicians, even those whose private language was raw enough to make drill sergeants blanch, were careful to suppress their four-letter words in public. (And were embarrassed when their private obscenities, even redacted, became open knowledge.) Today politicians go out of their way to make sure their profanity gets noticed. Donald Trump's certainly does. Many people aren't bothered in the least by this flow of verbal sewage. They defend it with an array of justifications, some of which contradict each other — that it conveys authenticity, that it's a healthy stress-reliever, that it irritates the goody-goodies, that it's fun, that it's a sign of intelligence. All of which may be true, but none of which alter the fact that excessive swearing is trashy and cheap. Its effect over time is to harden resistance to gentleness and sweetness. Sometimes salty language is exactly what a situation calls for. But like saltiness in cooking, too much can ruin everything. When everyone talks like Tony Soprano or the Glengarry Glen Ross salesmen, civil society hasn't become more "authentic." It has merely grown more callused. To be sure, language norms change over time. Words once regarded as beyond the pale can become innocuous or hokey. I suppose that's one way to interpret the fact that, according to researchers at San Diego State University and the University of Georgia, the F-word appeared in print 168 times more often in the mid-2000s than in the early 1950s. Yet even people who drop F-bombs all the time can generally be chastened into cleaning up their language by a reminder that small children are present. You don't have to be a pediatrician to sense that exposure to raunchy and corrosive language doesn't do kids any good. 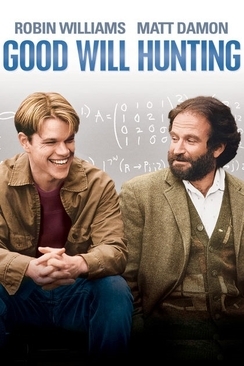 Did "Good Will Hunting" really need all those F-bombs? In an interview a few months ago, Matt Damon told Stephen Colbert that he wouldn't dream of letting his young children see "Good Will Hunting" because it is so profanity-laden. "You were allowed to say the F-word three times," Damon said, recounting his conversation with studio officials who wanted the movie to qualify for a PG-13 rating. "I said, 'OK, how many are we off by?' They said, 'You go over by 145.'" Maybe the rampant overuse of the F-word and other obscenities is actually benign — as benign as women wearing pants or interracial marriage, to mention a couple of once-inflexible taboos. Then again, many people used to tell themselves that smoking was benign. That no harm was done by leaving dog droppings where they fell. That racial slurs were nothing to get worked up about. Are we quite sure that the relentless potty-mouthing of American culture doesn't belong in that category? A flood of profanity pollutes our public square. It's time we gave some thought to cleaning it up.